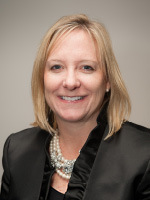 National non-profit hospital watchdog The Leapfrog Group is pleased to announce the election of Laurel Pickering, President and CEO of Northeast Business Group on Health (NEBGH), as chair of its Board of Directors, effective this month. In her role at NEBGH, Pickering spearheads a 200 member business coalition where she focuses on mobilizing the business community to drive improvement in health careand organizing health plans to work together to improve quality and value. Based on those efforts, NEBGH was chosen by the New York State Department of Health to convene employers and health plans statewide to obtain input on a new value-based primary care initiative that is the centerpiece of its State Innovation Model (SIM) grant from the federal government. In addition to her work with NEBGH and The Leapfrog Group, Pickering also serves on the Board of National Quality Forum (NQF) and National Business Coalition on Health (NBCH). Regionally, she is Chair of the Board of Directors of the NEBGH subsidiary HealthPass, a health insurance exchange for small businesses, and is also on the Board of Health Republic, a nonprofit health insurance plan in New York. Pickering will lead the board as Leapfrog grows the Hospital Safety Score and Leapfrog Hospital Survey, and furthers the organization’s mission for transparency of hospital performance.